300 levels of unique match-3 game set in the East India! Welcome to the intriguing match-3 game set in the East India at the very beginning of 19th century! A young English mapmaker Mr. Case receives an ordinary job proposal to work in India near the Blue Mountains, but what he discovers there is not ordinary at all. His discovery catches the attention of the whole British Empire. What could it be? 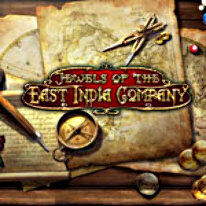 Jewels of East India Company takes a unique approach on the match-3 genre, where you can make chains of gems not only horizontally or vertically, but any way you want. It’s East India, you can do anything you want here! Help Mr. Case find the treasure of the Blue Mountains and his true love!